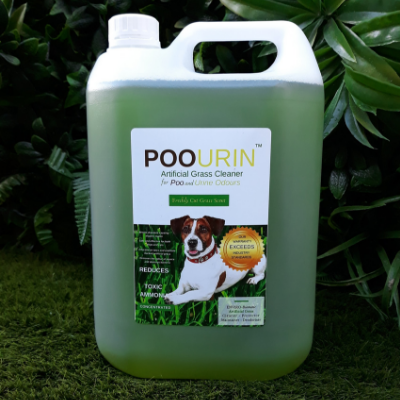 This 5 litre gallon artificial grass cleaner is specially formulated to remove pet urine odour and to reduce toxic ammonia from your artificial grass. The POOURIN™ brand is pet friendly and popular with dog owners. 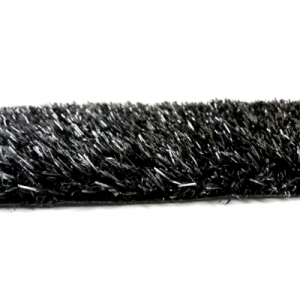 POOURIN™ Artificial grass cleaner is specially formulated to clean and revive weathered or tired artificial grass. This fast-acting formula removes moss, mould and algae whilst also rejuvenating and restoring it back to its natural appearance. 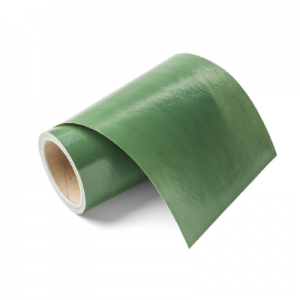 Unlike other products, the active ingredients in POOURIN™ Artificial Grass Cleaner penetrates the surface of the grass and then the backing until it gets into the sub-base. 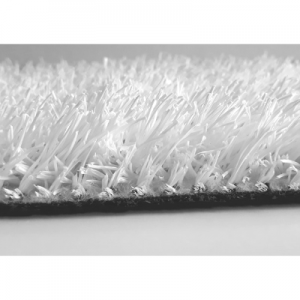 This product will tackle, degrade and eliminate odours causing organic matter from the source. 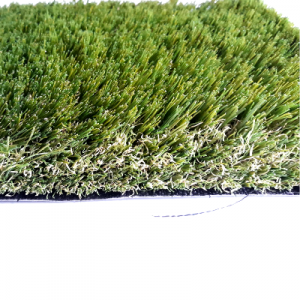 Removes pet smells from synthetic lawns and leaves the scent of freshly cut grass. They are also available in 500ml and 1 litre bottles. Add 75ml to 5 litres of water and apply to surface of the grass. Allow to remain for 10 minutes. Rinse thoroughly with lukewarm water. Repeat quarterly. Add 125ml to 5 litres of water and sprinkle to surface of the grass. Allow to remain for 10 minutes. Rinse thoroughly with cold water. Repeat on a weekly basis. 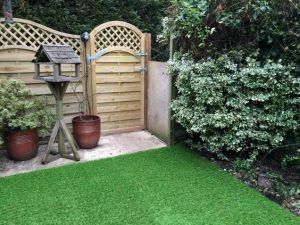 Add 150ml to 5 litres of water and apply to surface of the grass. Allow to remain for 10 minutes. Rinse thoroughly with lukewarm water. Repeat on a monthly basis. Add 150ml to 5 litres of water and apply to surface of the grass. Allow to remain for 10 minutes. Rinse thoroughly with lukewarm water. Repeat bi-monthly. Add 150ml to 5 litres of water and apply to surface of the grass. Allow to remain for 10 minutes. Rinse thoroughly with lukewarm water. Repeat once on a weekly basis. Add 250ml to 5 litres of water and apply to surface of the grass. Allow to remain for 10 minutes. Rinse thoroughly with lukewarm water. Repeat weekly for 4 weeks. Revert to 150ml and repeat bi-monthly.